Winter is a great time to get creative with snow and ice. 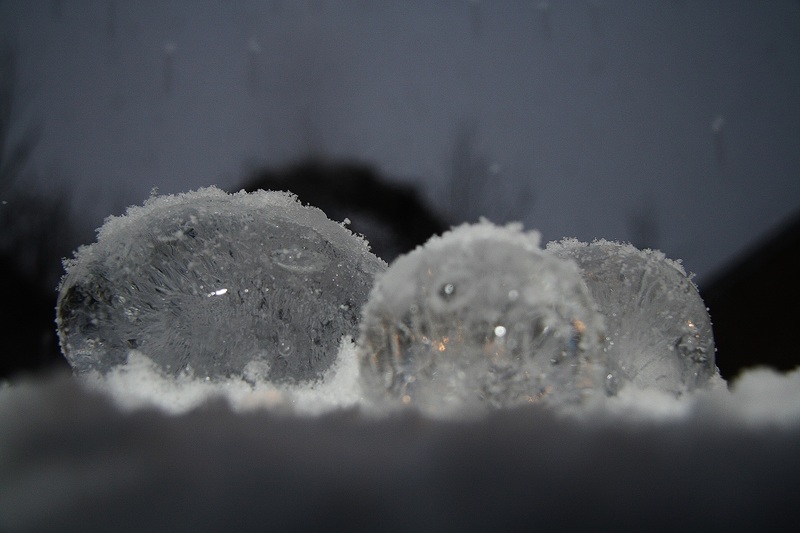 The picture is of frozen spheres of water. Fill balloon with water, tie top. Leave outside over night to freeze. To avoid bubbles in frozen shapes, boil water first and allow to cool before pouring into balloon. For variation try adding food colourings to the water.